The Hamptons, which is the eastern part of Long Island, is not a single place, but a group of villages and hamlets. They are in the towns of Southampton and East Hampton. Together, this collection of locales is one of the nation’s most popular and oldest seaside resorts. 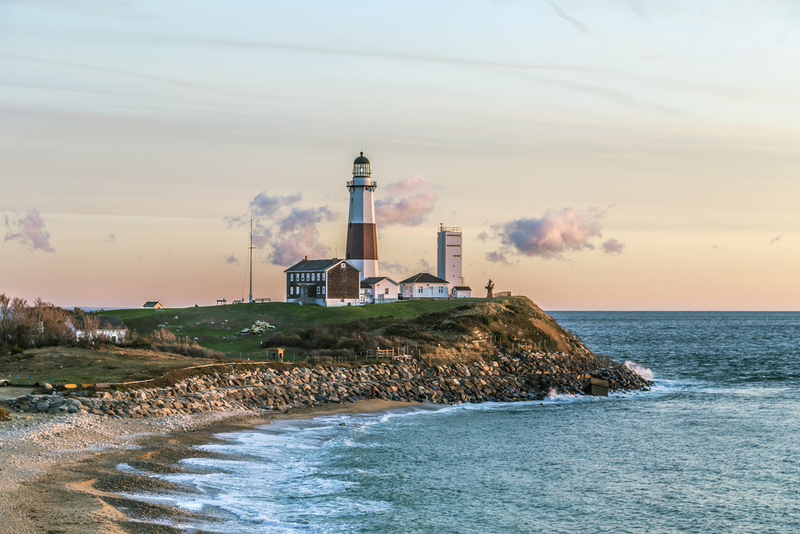 The Hamptons is known as a party place for the rich and famous, and, at least seasonally, it has some of the nation’s best restaurants, bars, and high-end shopping. However, it has a feel that is very different from most of the other resort areas in the United States. While it has long stretches of gorgeous beaches, which are the main draw for many tourists, it is also known for its quaint stretches of farmland and historic estates. The combination makes it a great place for a bachelorette party, whether your group is part of the rich and famous or simply wants a luxe vacation where you get a glimpse into that world. Getting to The Hamptons is easy from just about anywhere in the metro New York area. You can get there by car via the Montauk Highway. You can also travel on one of dozens of private bus services. You can use public transportation to get there via the Long Island Rail Road. 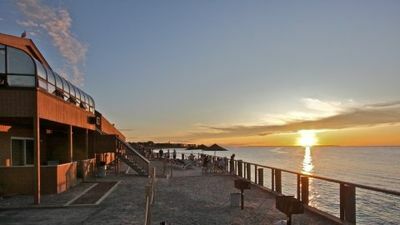 You can also take a Ferry from Shelter Island, New York or from Connecticut to get to the Hamptons. There are three major airports servicing the New York City metro area: LaGuardia Airport in Queens, New York; John F. Kennedy International Airport in Queens, New York; and Newark Liberty International Airport in Newark, New Jersey. Your choice of airport may depend on your departure destination and the airlines servicing your local area. 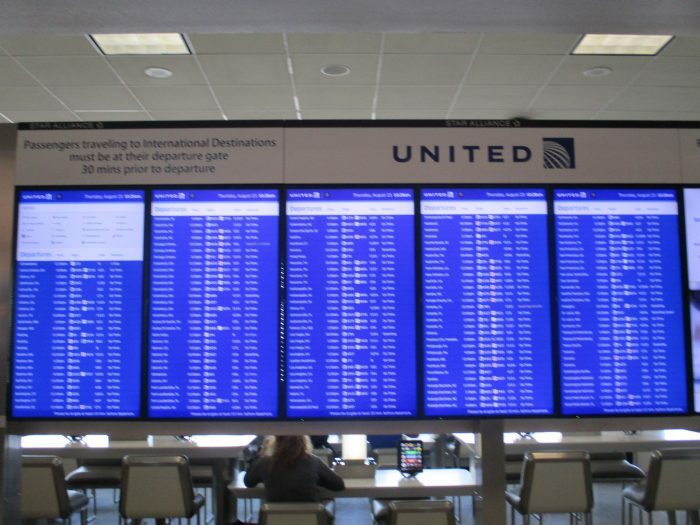 Wherever you are coming from, whether in the United States or outside of the United States, you will be able to find a flight into one of New York’s local airports. LaGuardia Airport– Airport Code LGA. This airport services the following carriers: Air Canada, Alaska Airlines, American Airlines, American Shuttle, Delta Airlines, Delta Shuttle, Frontier Airlines, JetBlue, Southwest Airlines, Spirit, United Airlines, and WestJet. John F. Kennedy International Airport– Airport Code JFK. This airport is the largest international airport in New York City and has more than 70 airlines operating out of its facility. The best way to see if an airline services JFK is to check its continually updating website. Newark Liberty International Airport– Airport Code EWR. This airport is not located in New York City, but just across the river in Newark. It offers shuttle service and other public transportation to New York City and other local areas. The airlines operating out of Newark include: Aer Lingus, Air Canada, Air China, Air India, Alaska Airlines, Allegiant, American Airlines, Austrian Airlines, Avianca, British Airways, Cathay Pacific, Delta, El Al, Elite Airways, Emirates, Ethiopian Airlines, Icelandair, JetBlue, La Compagnie, LOT- Polish Airlines, Lufthansa, Norwegian, OpenSkies, Porter, Primera Air, Scandinavian Airlines, Southwest, Spirit, SWISS, TAP Air Portugal, United, Virgin Airlines, and WOW Air. One of the best ways to get around the Hamptons is to use The Free Ride. As its name suggests, the Free Ride is a free shuttle service that uses electric vehicles to transport people around East Hampton, Southampton, and Montauk. Another popular public shuttle is the Hopper. At a daily cost of $20/day, this weekend-only transportation option is part shuttle and part party-bus. You can take a car to the Hamptons and use it to get around. You can find car rentals at Enterprise car rental at any of the three major airports. Car rentals may be easy for people traveling in big groups, but, if you are not familiar with driving in the New York City area, you may want to leave the driving to the professionals. One of the best ways to handle getting around the Hamptons is to let locals do the driving. Consider using Uber, Lyft, or one of the Hampton’s highly regarded local taxi services like All Hampton Taxi. 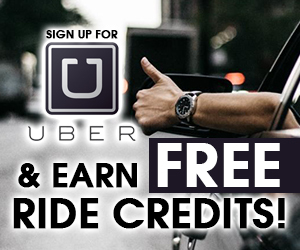 Looking for a more upscale ride? Consider booking a limousine with one of the area’s upscale limo services. In season, there is something to do in the Hamptons every single day, with the weekends from Memorial Day to Labor Day offering the most entertainment opportunities. What to do depends a lot on what kind of experience you want to have. In our guide, we are covering some of the most popular ideas that are open to everyone. However, there are also parties, galas, and events every weekend that require getting on a guest list. Fortunately, since many of these guest-list events are charity events, if you plan ahead of time and do not mind spending money on tickets, you can be an A-lister for the weekend. The beaches are the reason that the Hamptons has become a popular resort area, so it should come as no surprise that beaches are at the top of our daytime to-do list. That said, if you are looking for a tropical beach vacation, that is not the experience that you are going to get in a New York beach. Expect bigger crowds than you would at a tropical beach, but also amenities and recreation opportunities that you might not find in some of those other locations. 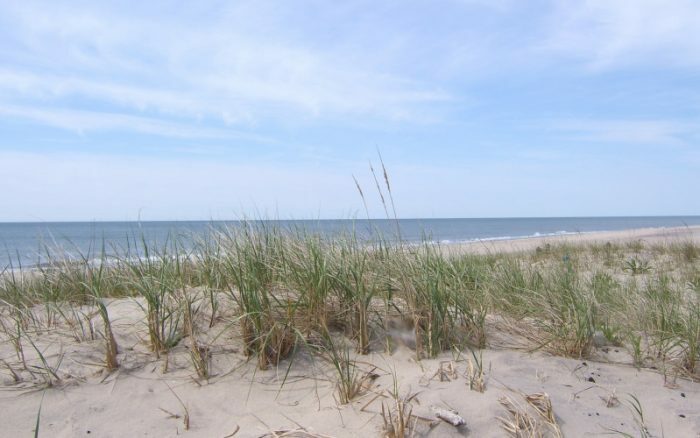 In fact, some of the beaches in the Hamptons are ranked among the top beaches in the world. Coopers Beach in Southampton Village is known for its amenities. You can rent chairs and beach umbrellas on the beach and also find snacks. This beach is ranked among the 10 best in the U.S. by Dr. Beach. However, if you are staying in the Hamptons, take a shuttle to the beach; the parking fees are exorbitant. Meschutt Beach– Stunning views of the Peconic Bay make this stillwater bathing beach that is sheltered from the ocean. It has restrooms, scuba diving, windsurfing, and sailing. While the Long Island Aquarium is more of a family-oriented activity, it has one of the largest all-living coral displays in the Western hemisphere, which makes it a must-see for any lover of aquatic life. It is also well known for its mammals, and planning a seal encounter, sea lion encounter, or painting with the pinnepeds event, penguin encounter, shark dive, snorkeling adventure, or even swimming with a mermaid can be a great way to celebrate a bachelorette party! The Parrish Art Museum is known for featuring artists from the North Shore and the South Shore. This museum is well worth spending a few hours to view amazing local art. The Shinnecock Hills Golf Club is one of the top destination golf courses for avid golfers. However, it is a members only club, so to play the course you need to be a member or a guest of a member. If you can swing the invite, it is well worth-it. Not only will you enjoy the course, but also the old-school golf club feel. Just make sure and leave the cameras in the car; this private course has a strict no cell-phone policy that preserves its tranquility in a way not many places do in the modern world. Of course, one of the best ways to experience the Hamptons is on a boat. Consider a boat rental for an afternoon or for a full day. Choose the boat that best fits you and your friends, whether it is a catamaran, a traditional sailboat, a cruiser, or a yacht. Beach Bar– this is one of Hampton’s most iconic hot spots. More like a laid-back nightclub than just a bar, this is the place to go if you want to dance, have a few drinks, and chill. They have some theme nights, so check them out before you go. Head in early if you want to miss the cover charge. AM Southampton is the hip hop night club the Hamptons didn’t know it needed. This bar brings the Brooklyn nightclub experience to the Hamptons for the season. Sometimes we get a little touristy and love a tour when visiting a historic area. While the Hamptons may be synonymous with partying, it is impossible to ignore that Southampton is actually one of the most historic towns in the entire U.S. Spend an evening getting your boo on with a ghost tour, where you can mix your history with a little mystery! Like so many other local venues, the Southampton Social Lounge transforms from a restaurant/cocktail lounge during the day to a nightclub at night. The Stephen Talkhouse has been a hotspot since 1970, making it one of those places that people party at through generations. It features all types of live entertainment, from hot starts to open mic nights. 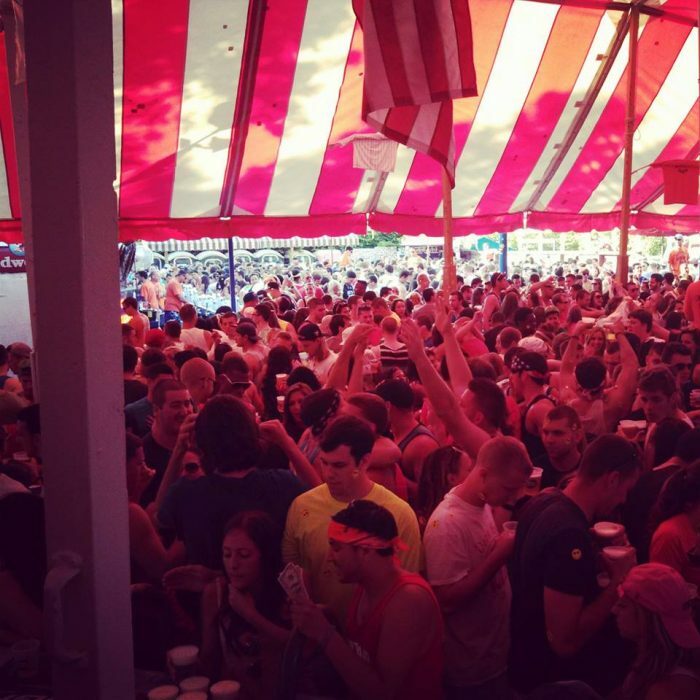 Day drinking is a thing in the Hamptons, and the place to do it is the Boardy Barn. This location is very much a dive bar and is loved by tourists and locals. Southampton Publick House has changed locations, but its indoor and outdoor bars offer the same day-into-night pub experience, as well as some DJ events at night. The 324 is part bar/ part event venue. It had an interesting start under another name, but the space is gorgeous and worth looking into if you want to plan a private event while you are in the Hamptons. Ruschmeyers is more like a backyard party than a traditional bar, and you should check it out at least one time while you are in the Hamptons. Looking for some beefcake at your bachelorette party? Although many small towns and resort areas do not have adult entertainment venues, national chain Hunk-O-Mania has a male review in Southampton. They offer a two-hour traditional male review and bachelorette party packages that can help you celebrate your special day. The Hamptons offer some interesting restraint choices. You can eat well there, and even find some interesting foodie hotspots, even if it is not known as a dining destination. John Scott’s Surf Shack is a simple beachside dining spot. Known for its wings and the day drinking that lasts well into the late-night hours, this spot often has a long wait. The wasabi grilled shrimp salad is a great light option, but the stuffed lobster is a must-have. 75 Main offers iconic Italian fare for lunches and dinners and an interesting breakfast menu in the mornings. The watermelon salad is a great option as is the Brown Derby Cobb, but it is hard to beat the crab eggs Benedict if you are looking for a decadent breakfast choice. Union Cantina is the exception that proves the rule. We tend to avoid recommending Mexican food outside of Mexico or the American Southwest, but we happen to love the vibe of this beachside cantina. We also love their avocado fries! Known as much for their drinks as their menu, this may not offer Zagat-rated food, but it is a comfortable dining and hang-out spot that captures a lot of what it means to summer in the Hamptons. LT Burger is a place where you can come for the burgers and their iconic boozy milkshakes, and stay for the nightclub atmosphere. Another place that transforms itself after dark, this daytime and evening vibe of this place is classic burger joint, with a slightly adult spin. 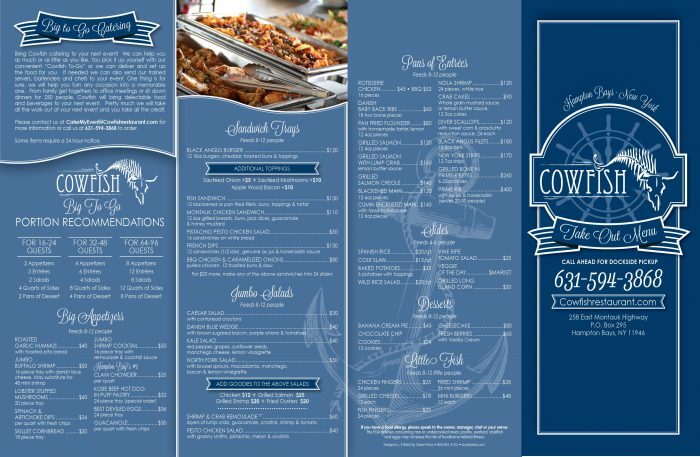 Cowfish Hampton Bays is one of the upscale restaurants in the Hamptons and a perfect place to plan that special bachelorette dinner. We love its iconic white twinkle lights, which welcome you to a gorgeous space. The food is great, but not pretentious. We love the addition of brown sugar bacon to traditional deviled eggs, and you cannot go wrong with the diver scallops! The Hamptons is known for its seaside resort feel, and, while you can find chain hotels in the area, we strongly suggest you avoid the chains and head to one of the many local hotels and resorts in the area. You may also want to look at one of the local homes, which range from quaint cottages to massive estates. We love a hotel experience, because you get the chance to have someone else take care of everything. This is especially true in a resort area like the Hamptons, where so many of the local hotels and resorts have great local flavor and top-notch customer care. Baron’s Cove is an iconic beachside resort that offers everything from small rooms to large suites, and is even known as one of the area’s dog-friendly resorts. It is a historic area with a gorgeous lounge area, a backyard area and comfortable pool, as well as restaurants that offer a full-service menu for all three meals. Kenny’s Tipperary Inn has everything you could want in a Hamptons resort. From the views of the lighthouse to the comfortably appointed guest rooms, and great location, it is an affordable locally owned option. The Grassmere Inn bed and breakfast is not your typical bachelorette party pad. In fact, we normally suggest avoiding B&Bs for your bachelorette because of concerns about how your partying might impact other guests. However, we absolutely adore this B&B and love how it perfectly reflects the Hamptons vibe. We suggest booking all of the rooms if you have a larger bachelorette party, combining the feel of a house rental with the full-service convenience of a hotel. One of the best things about visiting the Hamptons is the history of the area. A great way to incorporate this history into your bachelorette is to skip the hotels and stay in one of the many vacation rentals in the area. A home rental gives you space to spread out and hang out, while still keeping you close to the action. While a Hamptons bachelorette is never going to be inexpensive, a vacation rental is also a great way to help handle your budget, not only because the costs tend to be more affordable per person than a hotel, but also because it gives you the opportunity to cook at home. You can use services like AirBnB, VRBO, and Homeaway. You can even use our link to get $40.00 off your first AirBnB reservation. 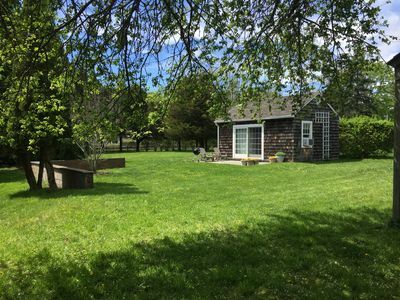 This quaint home is close to Southampton Village, offers plenty of room for large groups, and even has an in-property heated pool. Located just one block from Sag Harbor, this vacation home offers a luxurious feel, from its simple check-in service, to its amazingly comfortable mattresses, and its heated saltwater pool. This cottage, located near Georgica beach, is a two-story Cape style home that has four bedrooms, air conditioning, and an in-ground pool. They even provide bikes for you to travel easily around the beachfront communities. 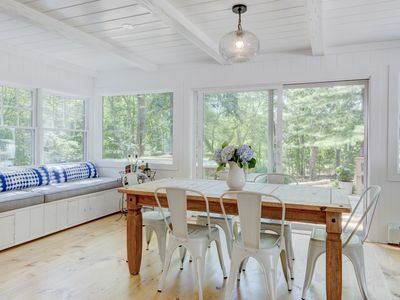 This Bridgehampton designer home offers upscale style in a quiet environment. Its location on the Long Pond Greenbelt Nature Reserve means hiking trails in the back yard! 1 BR Cottage, 1 BA, Sleeps 2, 300 Sq. Ft.
4 BR House, 1 BA, Sleeps 8, 1350 Sq. Ft.
Love the water? This bayfront home lets you drop in a kayak or boat behind the house, letting you enjoy everything the water has to offer. Rent jet skis or bring yours along, and use the house as your base for a jet skiing day. Want to enjoy a home with a hot tub and a pool? This three bedroom home is located near public transportation and earns its five-star reviews with its pristine condition and expertly-appointed kitchen. The best time to visit the Hamptons is during the week between Memorial Day and Labor Day. The Hamptons are truly a tourist area, and outside of “the season” all tourist-friendly businesses shut down. However, you want to avoid the weekends, if possible. On the weekends, thousands of people leave New York City and the surrounding metro areas and head out the Hamptons. You may also want to visit in early May or late September, in what is considered the slower shoulder season. There is no visiting the Hamptons on a budget. 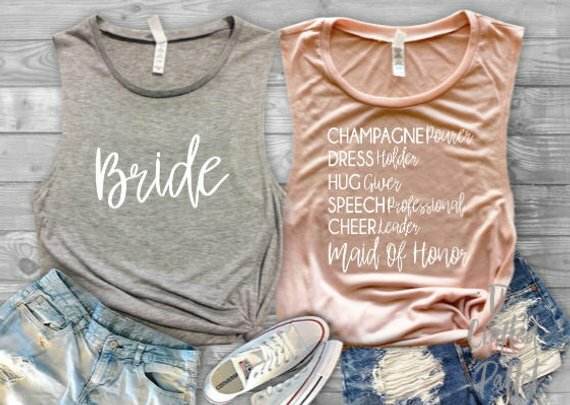 If you are looking for a budget-friendly bachelorette party destination, there are other areas on the East Coast that would be great options, but not the Hamptons. If you are looking for a party destination, do not visit the Hamptons after September or before May. If you do, there will not be anything to do. It is truly a seasonal tourist area and, when the season is over, there is nothing for non-tourists to do in the area. 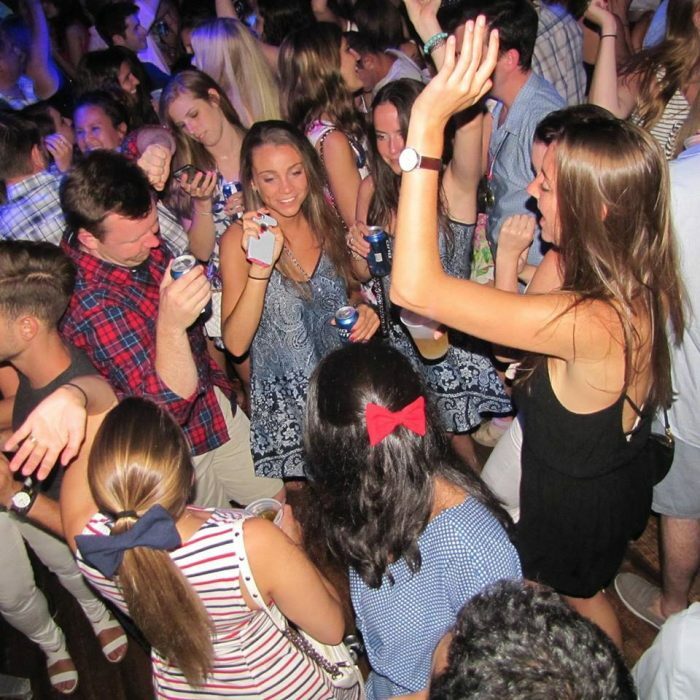 Some of the country’s best known parties and social events are found in the Hamptons. While many of these parties are private events, others are public or semi-public events, which support some worthy causes. Checking into some of the planned charity galas for the upcoming summer season for 2019 can be a great way to help plan your Hamptons Bachelorette Party. One of the yearly events that people love is the Hamptons Golf Classic in June. Held at the Hampton Hills Golf & County Club, this event is used to raise money for charities. It’s a great spot to mingle with celebrities and socialites, if you can afford the entry price. Art Southampton in July is not just the premiere art event for the Hamptons, but might actually be the largest annual contemporary and modern art event in the United States. It is considered one of the most important can’t miss seasonal events in the area, and you are likely to find yourself surrounded by celebrity and socialite faces you recognize, as well as many of the country’s less recognizable power players. Nothing screams money quite like the sport of horse racing and the Hampton Classic Horse Race in August is not the traditional horse race you think of when you think of the track. Instead, it is the nation’s premiere outdoor equestrian event, featuring a number of different equestrian activities, including many hunter-jumper events. While the event is a must-see for horse lovers, it is also one of the places to see and be seen for the non-equestrian set. The East Hampton Library’s Author’s Night in August is one of the nation’s largest literary celebrations. It presents a unique opportunity to meet with luminaries from the literary world as well as some of the country’s most recognizable celebrities, and presents an eclectic mix of New York Times bestselling authors and local authors, providing a completely unique atmosphere for book lovers. Not only is the event your best bet if you want to meet any celebrity author, but also a great way to meet upcoming authors. Packing for The Hamptons depends on what your plans are. 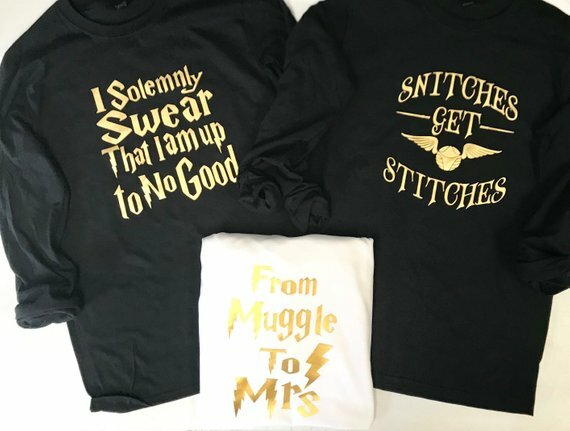 Are you going to be hitting a gala while you are there? If so, you need to pack appropriate attire for that party. Will you be there for one of the area’s notorious white parties? If so, pack crisp white clothing- we suggest linen. However, if you are just planning a beach weekend, then you want luxe, casual clothing, that look like you have money, but like you are not pretentious. You may also want to bring a hoodie or other lightweight jacket; the summer evenings can become surprisingly chilly in the evenings! 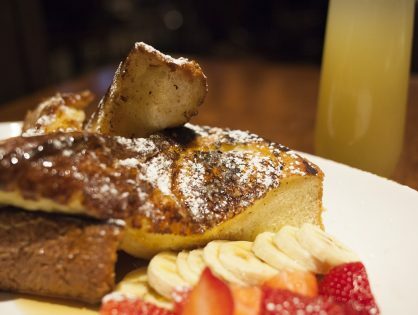 Start at breakfast at 75 Main, then head out to the boat rentals and get a yacht for the day. Pack a picnic lunch and a cooler for the boat, so you can have a full day on the water. Then, head to the LT Burger for a late-night bite to eat, some boozy milkshakes, and a bit of a bar vibe, before you head over for the real bachelorette party at Hunk-O-Mania. While travel insurance is never a requirement, when trying to plan a vacation for multiple people, we think it is a very wise choice. Protect your financial investment, because you do not want to take a financial hit if life happens. The Hamptons has been a favorite vacation destination for people in the New York area for years. That is because the combination of the gorgeous beaches, laid-back village vibe, and hot nightlife scene offers just about anything you could want in a getaway. Some of its more recent offerings, like the addition of a Hunk-O-Mania, make it perfectly suited for a bachelorette location. The Hamptons is a great destination for a short term bachelorette party or a longer bachelorette getaway where the partygoers may need come-and-go access to the city. It has all of the events and parties you could want. The reasons we rated it 4-stars rather than 5-stars is because it is a pretty ritzy venue. It may be a little much for lower-key party goers. While not considered one of the must-see bachelorette destinations The Hamptons is one of those bucket list travel destinations that draws people from around the world. You might think that is just for the ritzy social scene, but it actually features one of America’s ten best beaches. Go for the parties, stay for the sand. Whichever way you choose it, it is a great bachelorette party destination and offers plenty of opportunities for girl bonding and late-night partying.